When I mention to other biologists that I work on exosomes, I am used to getting blank stares. Exosomes, also sometimes called microvesicles, are small lipid vesicles secreted by all cells. Like many dark corners of biology, the exosome field is a province of a few experts and is still largely unknown to the mainstream. But thanks to some exciting early results and a long list of potential medical applications, exosomes are beginning to move out of the shadows and into the light. Exosomes were the subject of two sessions at the annual American Association of Cancer Research (AACR) meeting earlier this month. In January, the first-ever conference on exosomes brought together more than two hundred researchers from around the world. And now even the popular press is picking up on the applications of exosomes to RNA interference (RNAi) drug delivery and diagnostics in fields ranging from cancer to diabetes. 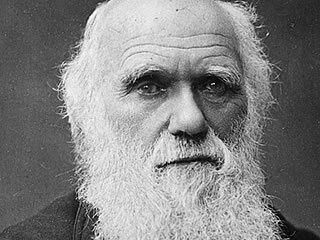 The concept of cells budding off small particles was actually first mentioned in Charles Darwin’s The Variation of Plants and Animals Under Domestication in 1868 and exosomes were first observed by electron microscopy in the 1980s. 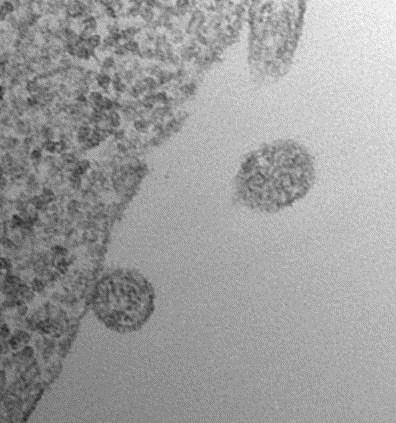 For twenty years after that, exosomes were thought by many to be nothing more than “cellular trash bags” that dump proteins deemed to have outlived their “use-by” date. This changed a few years ago, though, when a number of independent studies showed that exosomes actually contain not only protein but also RNA. This discovery opened the possibility of using the RNA in exosomes floating around in bodily fluids to learn all kinds of secrets about the cells that release them. I learned about the diagnostic potential of exosomes in early 2009 when a venture capitalist asked my opinion on a business plan. The company, called Exosome Diagnostics, was being spun out of Massachusetts General Hospital (MGH) to develop new diagnostics based on analyzing the RNA in exosomes isolated from blood and urine. At the time, I was an undergraduate at MIT working on microRNAs. After reading the business plan, the patent filing, and the underlying scientific publication, I called the VC back. “This could be HUGE,” I told him. “We should get in on this,” he replied, and promptly forgot all about it. I did not. After graduation, I opted to learn more about exosomes through a brief stint at the Curie Institute in Paris. I then joined Exosome Diagnostics, which by then was flush with a $20M Series A. The company’s platform is based on the work done at MGH, which showed that mutant RNA transcripts derived from key genes can be detected in exosomes released by cancer cells. Johan Skog and colleagues had shown that by isolating exosomes from blood and looking at the RNA inside, they could tell whether a patient’s tumor contained mutant EGF Receptor (EGFR) – establishing the proof of principle for exosomes as companion diagnostics. Oncologists could use them to peer into the genetics of tumor and decide whether a patient would be a good candidate for EGFR-inhibiting drugs such as Tarceva® and Iressa®. As pharma companies move increasingly towards targeted cancer therapies coupled to companion diagnostics (think PLX-4032, Plexxikon’s BRAF inhibitor for melanoma, or Crizotinib, Pfizer’s ALK inhibitor for lung cancer), the appeal of a blood or urine test instead of a biopsy to analyze specific mutations is not hard to see. This is particularly advantageous in cancers where obtaining a biopsy is difficult, like brain cancer or lung cancer. I think that companion diagnostics in cancer are just the tip of the iceberg for exosomes in diagnostics. Several recent studies have shown that different levels of certain RNAs in exosomes and other vesicles isolated from blood correlate with different disease states. In other words, exosomes have RNA “signatures” for different diseases. One recently published study , for example, showed that a specific microRNA in vesicles derived from diabetics’ blood was elevated compared to vesicles taken from non-diabetics. Amazingly, the researchers also showed that this biomarker could potentially be used to identify patients who will get diabetes before any clinical symptoms occur. Although the test in the paper was not yet sensitive enough for the clinic, the results raise the intriguing possibility of using RNA signatures to predict disease, not just diagnose it. Signatures of mRNA isolated from exosomes in the blood could be used to classify brain tumors based on aggressiveness. A specific microRNA isolated from exosomes in the cerebrospinal fluid (CSF) was found in brain trauma patients but not in healthy controls. Certain microRNAs isolated from exosomes in the blood of pregnant women could be used to predict premature births. Although larger studies will be needed to confirm these effects, I imagine that, in the not too distant future, exosomes will join the list of proteins and metabolites currently profiled during routine blood draws. Through methods such as high-throughput sequencing, the RNA inside exosomes (dare I say “exo-transcriptome”?) will be analyzed and will prove spectacularly useful in helping physicians assess and track patient health. Exciting as the potential of exosomes is in diagnostics, you may be wondering what they actually do. Are the different RNA profiles in exosomes more than a correlation? Do exosomes actually contribute to disease? This was an intense topic of debate at the exosome conference, and, after listening to four days of presentations on the topic, I would venture to say that we still really don’t know. The fact that exosomes contain RNA raises the extremely intriguing possibility that cells throughout the body communicate by sending each other little “packages” of RNA, and the RNA can then perhaps act in the recipient cells – be translated into protein in the case of mRNA or repress the expression of other genes in the case of microRNAs. And, if this is the case, one could imagine hijacking this pathway to deliver therapeutic RNAs and thereby overcome an enormous roadblock. The main obstacle to realizing the tremendous potential of RNAi therapeutics is the challenge of delivery. Whether or not exosomes are actually used to transfer RNA between cells remains to be proven, but results presented at the exosome conference and recently published by a group at Oxford made the first attempt at this approach. Led by Matthew Wood, the group loaded modified exosomes with an siRNA designed to knock down the BACE1 gene implicated in Alzheimer’s Disease. Although they used healthy mice as models, the researchers demonstrated proof-of-principle by showing reduced levels of BACE1 in the brain. Of course, it would be reassuring to know what exosomes actually do in the body before injecting them into patients, especially given that exosome-based drugs would be complex biologics composed of several different proteins, not just lipid vesicles. As we learn more about the biology of exosomes, however, I could imagine scientists designing exosome-mimicking particles with the minimum necessary components to carry the RNA therapeutic to its designated site in the body. As evidenced at the exosome sessions at the AACR meeting, there is increasing interest in exosomes secreted by cancer cells. Cancer exosomes have been found to contain oncogenic mRNA and proteins, and it is thus tempting to speculate that exosomes may have a role in modifying the tumor microenvironment and helping the cancer spread. If true, one could even imagine using therapeutics to specifically target cancer exosomes. Unlike with the use of exosomes for diagnostics, however, the use of exosomes for therapeutics will require scientists to uncover some of the fundamental biology of what exosomes are and how they function. Luckily, as evidenced by the excitement at the exosome conference, there are at least two hundred of them up for the challenge. *Dima Ter-Ovanesyan (dimatero@gmail.com) graduated from MIT in 2010 with a Bachelor of Science in Biology. At MIT, he worked on RNAi screens in cancer with Michael Hemann and microRNA targeting with Chris Burge and David Bartel. He was also an associate at CBT Advisors. He currently works at Exosome Diagnostics.